At Litchfield Montessori, the Upper Elementary classroom environment and curriculum is suited to meet the needs and tendencies of children aged 9-12, in what Maria Montessori termed as the latter half of the second plane of development. 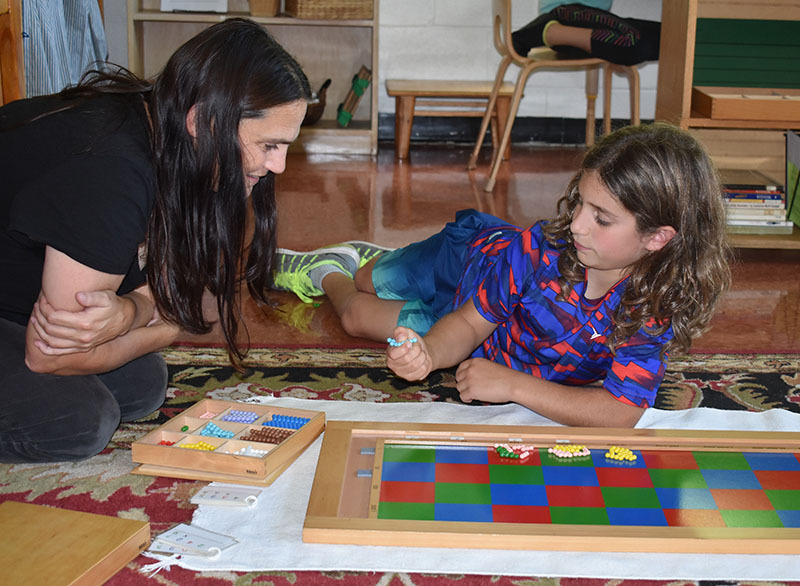 Moving towards adolescence, children of this age group are transitioning to more abstract thinking, relying heavily on resource materials in addition to the Montessori materials to build upon the work begun in Lower Elementary. This a period of strengthening and supporting the independent learner, refining skills, deepening the conscience and inner code of ethics, and the preparation for becoming a contributing member of society. The child aged 9-12 has new ownership of a reasoning mind, full of capacities and enthusiasm for exploring, theorizing, planning, and creating. Our classroom environment looks to satisfy these needs, optimizing areas for such work: varied work areas for individual and group projects, a classroom library, a science experiment shelf, and materials suited to guide and support students with independent learning. 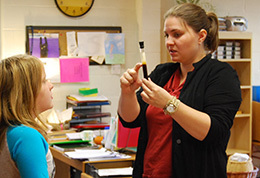 Emphasis is placed on the integration of subjects including math, geometry, language, history, geography, and biology. Cultural studies are woven through these subjects throughout the year: art, music, dance, and drama play important roles in amplifying the curriculum. Regular specialists and visiting artists also contribute to our program offering Spanish, Latin, Physical Education, cooking, fiber work/sewing, and other topical activities to support our classroom learning. Our students also participate in a yearly drama production, taking active roles both on and off the stage as actors and costume/set designers. In addition to the physical classroom, our Upper Elementary program looks to the outside environment and community to expand the boundaries of our students’ learning experience. Our campus’ location allows us to easily take advantage of the natural surroundings of Northwest Connecticut, as well as the cultural and societal opportunities in neighboring towns and cities. At this age, children often turn outward to broader society and the world. Our students gain understanding of society and community through group field trips, overnight camping excursions, and community service activities. As a culminating project, our sixth years participate in the Montessori Model United Nations in New York City. 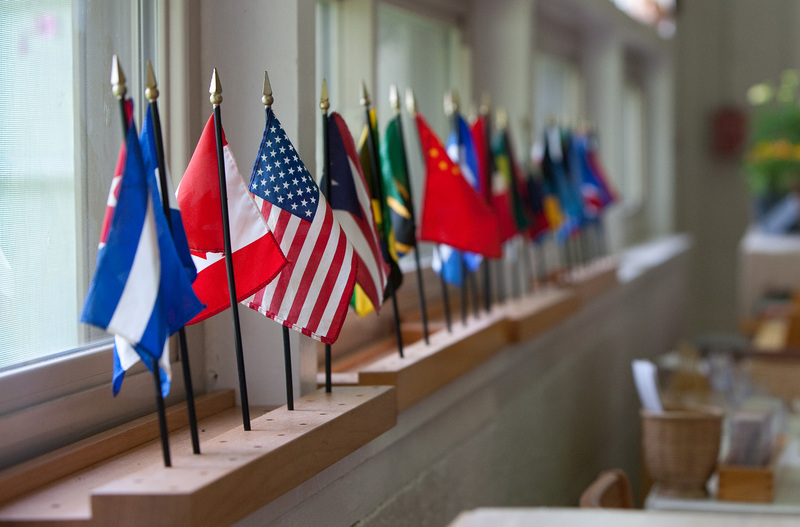 For more information about the MMUN experience visit our Cultural Curriculum page.